I worked with Edison Research to design a study of the science of complaints that ultimately powered my new book, Hug Your Haters (visit HugYourHaters.com now to order and receive exclusive bonuses not available anywhere else, or ever again). When I first conceived this project, I anticipated a far different set of findings. I fully expected to discover that in today’s world, speed of response would have the greatest impact on customer advocacy; that being fast would be the currency of satisfaction when it comes to customer service. But it’s not entirely true, at least not yet. Speed of response has an impact on overall customer satisfaction and the will­ingness of unhappy customers to embrace your business post-complaint. But the impact of speed isn’t massive. This is partially because when complaints ARE addressed, companies are doing a satisfactory job at answering them without delay. So the current problem – and the thesis of the book – is that many complaints are NEVER answered. Answer every customer complaint. In every channel. Every time. How Fast Do You Need to Answer Complaints On Phone and Email? 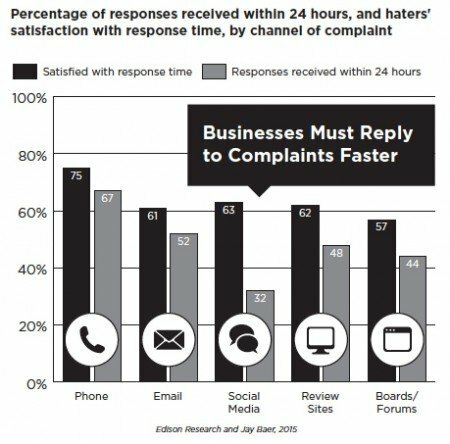 Of haters who complain by telephone, 67 percent are satisfied with response time, and 75 percent of today’s telephone complaints are handled by businesses within twenty-four hours. E-mail doesn’t fare as well, with 61 percent of haters satisfied with response time on that channel. This is perhaps because just 52 percent of e-mail complaints are addressed within twenty-four hours. Only 52% of email complaints are handled within 24 hours. Too slow! How Fast Do You Need to Answer Complaints in Social Media? In social media and beyond, haters’ expectations for a speedy response are quite different. 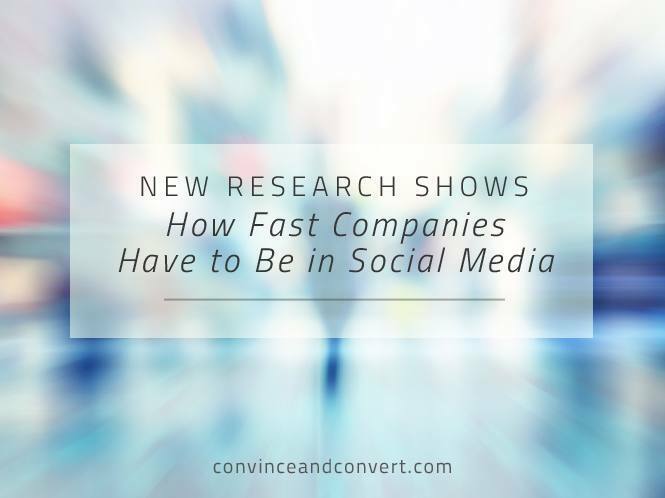 Just 32 percent of social media complainers are happy with how fast businesses respond. This is despite the fact that 63 percent of social media complaints that are addressed are handled within twenty-four hours. But that’s not fast enough. Today, 39 percent of social media complainers who expect a reply want it to come within sixty minutes, yet the average response time from businesses is five hours. Closing that expectation gap is a major element of the Hug Your Haters success formula. Haters who complain on Twitter are the most satisfied with response time: 88 percent of complainers who receive a reply on Twitter are happy with the speed of that reply. This may be because many businesses have come to view Twitter as a primary customer service vehicle, and have assigned significant resources to the channel. 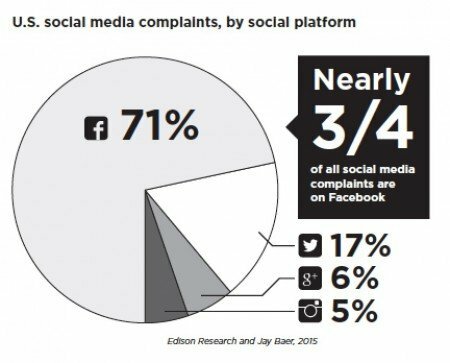 71% of social media complaints are logged on Facebook – 17% on Twitter. Certainly, Facebook has far more users than Twitter, which may partially explain the difference in usage. But many customers also take to Facebook to sound off in ways that may not be directly actionable or solvable. Often, Facebook complaints are structured, negative feedback more than they are cries for specific help. These are viewed as complaints by consumers, but may not be viewed as such by businesses. This discrepancy may cause companies to misjudge the scope and scale of customer service opportunities on Facebook. Most companies favor Twitter, where the overall participation may be lower, but the use of the venue as a direct customer service channel is more obvious. Your ability to find indirect complaints (negative comments about your business that do not explicitly tag you and are not written on an online site you control) varies by platform. On Facebook, for example, privacy controls selected by the consumer dictate how much indirect commentary a company can see and find, making software almost a requirement for companies serious about online customer service. Trying to find indirect complaints unassisted by technology almost ensures you’ll miss important opportunities to answer them, which can have a massive impact on customer advocacy. How Fast Do You Need to Answer Complaints On Review Sites? Since the pace and cadence of interaction on review websites are not as quick as they are on Facebook and Twitter, haters’ expectations for response times on these sites are not as aggressive, and their overall satisfaction is higher. About half of the people complaining on a review site are happy with response times from businesses, and 62 percent of the replies received there occur within twenty-four hours. Speed is important, but just showing up and answering EVERY customer complaint is more important. Don’t ignore review sites, and definitely be paying attention to Facebook as a customer service channel. For much, much more on this topic and related themes, grab your copies of Hug Your Haters.